So you guys might remember my What if Something Amazing Happens post which is my second most popular blog post ever. 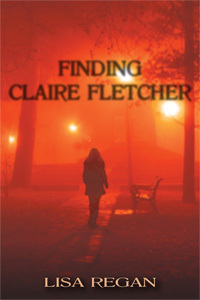 (The first most popular is the one about the Finding Claire Fletcher launch). At the time, I had finally found an agent after 4 years of rejection and I had been on submissions for over a year (and had 6 more months to go!) You can go back and read the post, but basically it's about not giving up even when going forward seems like utter madness. As you guys also know, my first two books, Finding Claire Fletcher and Aberration did finally get picked up by a publisher--a new, small press called Sapphire Star Publishing. 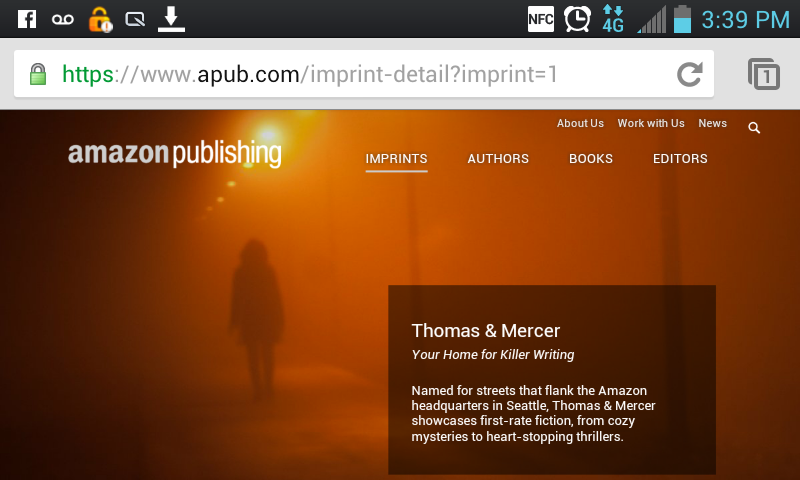 I was ecstatic to have a publisher, and I've been extremely happy with SSP. I had a third book sitting around, waiting to be revised. I would have happily gone with SSP once more for that title, but last year they closed to submissions. Meaning, I'd have to do something else with my third book. The success of my first two books, although extremely modest in the grand scheme of things, was still beyond all of my expectations. I felt like I had some momentum with the first two, and I didn't want to lose it. I didn't want to lose the interest of the readers I had picked up along the way. If I went traditional again, it would likely be years before the book would actually come out. There would be months of waiting for my agent to read it and suggest revisions. Likely years on submissions to publishers (I know, you're thinking why would you spend years on submissions to publishers when you've got two books out that are doing reasonably well for an unknown newbie, but let's not forget that this is ME. My history has taught me that whatever it is I'm trying to do--there is a greater likelihood of it taking years than not). Then if I was lucky enough to snag a publisher, I'd have to wait on their production schedule which, again, could be years. I didn't want to wait what could potentially turn into a half a decade to put out a book that was already essentially finished. So after many months of mulling it over and a couple of email exchanges with my agent, I chose to self-publish my third book, Hold Still. Did I make a big announcement? A proclamation? No, I did not. Was I trying to hide my self-published status? Not at all. Since the most frequent question I got when I did get published by a traditional publisher was, "How much did that cost?" I figured that most people already assumed that I was self-published. When I did actually try telling people that I had decided to self-publish my third book, my announcement was usually met with a puzzled look, a shrug and an, "Oh. Okay. When's it coming out?" (Readers don't care nearly as much about the ins and outs of this industry as writers do. Readers just want a good freaking book. Period.) Since no one seemed to care one way or the other, I didn't feel the need to make a big thing of it. Also, I hadn't entirely ruled out using a publisher in the future, so I didn't want to make a big old declaration of independence since I had no idea what would happen. I might love self-publishing or I might hate it and swear it off forever. At the time, self-publishing was the fastest way to get my book to readers, so that's what I did. I published Hold Still and officially became a "hybrid" author. I did like it quite a bit. There's no beating the absolute control of publishing your own work. It's pretty amazing. I would say it's 70% joy and 30% sheer terror. The terror comes from the fact that you have no buffer between you and readers. If something in the book is horribly off, there's kind of no one else involved in the process with you to say, "Hey, you can't do that." You can do anything you want. Of course Hold Still went through a bunch of critique partners, beta readers and a few editors too, so by the time I was ready to hit publish, I felt pretty good about it. I was pretty happy having self-published. I liked it so much I figured I'd definitely do it again. I got this email from a senior acquisitions editor from Thomas & Mercer, the mystery/suspense imprint of Amazon Publishing. She had read Hold Still, enjoyed it and wanted to acquire it for Thomas & Mercer's 2014 publication list (with an option on my next book). There were negotiations. There was a lot of re-checking my email inbox to make sure that email was still there and that it was actually real. There was some pinching myself. There was some waiting. Then there was a contract. And signatures. More pinching. And now . . . I can't wait to see where this amazing journey takes me next! Thank you to all my fabulous and wonderful family and friends who have been with me every step of the way! You guys are the greatest! And especially all of my amazing writer friends--you guys are the very, very, very best! That is quite a journey! Congratulations, Lisa. So it will get a big new release from Amazon now? Yay!!!!! I shall go happy dance for you...don't laugh at my awkwardness. "Readers don't care nearly as much about the ins and outs of this industry as writers do. Readers just want a good freaking book. Period." Congratulations, Lisa!! What a great surprise! I also published with a small press and have been thinking of self-pub. and too scared to try. Wow Lisa this is AMAZING for sure! I'm so happy for you and I can't think of anyone more deserving of such success. Yay!!! 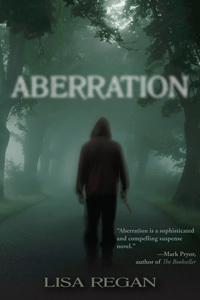 Otherborn Has a New Cover!